THE MAI-MALADE: What happens when the most ambitious Mai Tai you’ve ever had meets sumptuous Marmalade? 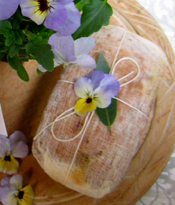 …A journey to unchartered flavor. NEEDED: Robert Lambert’s Rangpur Lime Marmalade, Seville Orange Marmalade, Dark Rum, Light Rum, Triple Sec, Robert Lambert’s Blood Orange Syrup, Pineapple, Ice. DIRECTIONS: A little goes a long way: In a blender, mix 1 Tbsp of Rangpur Lime Marmalade, 1 Tbsp of Seville Orange Marmalade, ¼ cup of crushed pineapple, 2 oz of Dark Rum, 2 oz of Light Rum, ½ oz of Triple Sec, ½ oz of Blood Orange Syrup, 5-6 large ice cubes. Blend until semi-icy smooth. Garnish with speared fruit. The journey begins. THE SPICED GUM DROP: Each ingredient uniquely comes together for a citrusy-spicey gum drop experience that doesn’t stick to your teeth! 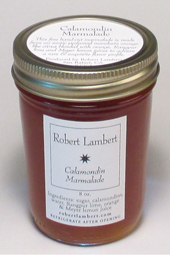 NEEDED: Robert Lambert’s 4 Orange Marmalade and 5 Lime Marmalade. Robert Lambert’s Meyer Lemon Syrup, Cinnamon Schnapps, Vanilla Vodka, Ice. 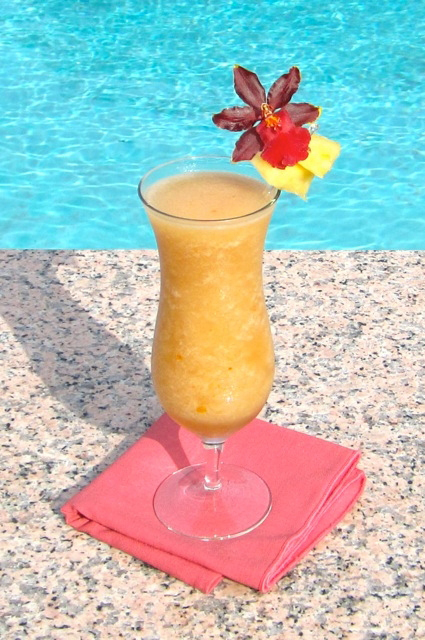 DIRECTIONS: In a blender combine ice (5 large ice cubes) 1 Tbsp of RL 4 Orange Marmalade, 1 Tbsp of RL 5 Lime Marmalade, 1 oz. of RL Meyer Lemon Syrup, 1½ oz. of Vanilla Vodka, 1 Tspn of Cinnamon Schnapps (clear or red). Blend & pour into cocktail glass. Garnish with toothpick speared gumdrops. 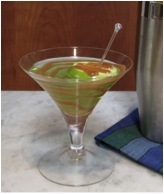 HOT GINGER CARAMEL APPLE MARTINI: An exciting RL variation on a popular favorite. DIRECTIONS: Drizzle RL’s Hot Ginger Caramel Sauce across the inside of a chilled martini glass & return to freezer. Mix 2 oz of vodka, 1 oz of apple pucker shnapps in an icy martini shaker. Pour into chilled caramel glass. Place apple slice on top & drizzle more caramel sauce over it. LICENSE TO CHILL: This RL original Champagne Cocktail is one of a kind. The name is a nod to the ever-present champagne in James Bond movies. 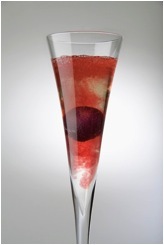 NEEDED: Chilled Champagne, Champagne Flute, Robert Lambert’s award-winning Dark Cherries in Merlot Syrup. DIRECTIONS: Swirl One Teaspoon of “Merlot Syrup” from a jar of RL’s Dark Cherries in Merlot Syrup around the inside of a chilled champagne flute. Pour your favorite chilled champagne into the flute and watch the color come to life. Remove the pit from an RL dark cherry and place it in the flute. GINGER LI-MON RICKEY: A breeze to make and a sheer craving inducing delight. 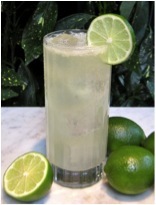 NEEDED: Limes, Robert Lambert’s Meyer Lemon Syrup, Robert Lambert’s White Ginger Syrup, Seltzer, Ice. DIRECTIONS: In a pitcher, mix 10 oz. of lime juice (the juice of 6-8 limes), 3 oz. of RL Meyer Lemon Syrup, 3 oz. of RL White Ginger Syrup, 32 oz. of seltzer water. Pour into ice filled glasses and garnish with lime slices. (Makes 4 12 oz servings). 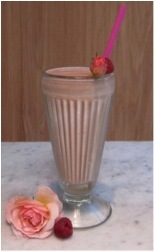 RASPBERRY ROSE CHOCOLATE SHAKE: You’ve never had a chocolate shake with an array of flavors like this! Each sumptuous sip delivers a Lambert medley of flavors that will linger in your cravings long after you reach the bottom of the glass. NEEDED: Robert Lambert’s Raspberry Rose Chcolate Sauce, Vanilla Bean Ice Cream (or Low Fat Frozen Vanilla Yogurt), Low Fat Milk, Ice. DIRECTIONS: In a blender, add 4 oz. of Vanilla Bean Ice Cream (or Low Fat Frozen Vanilla Yogurt for calorie counters), 1 ½ oz. of RL Raspberry Rose Chocolate Sauce, 2 oz. of Low Fat Milk, 1-2 ice cubes. 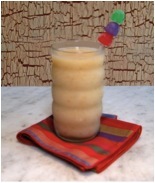 Blend at high speed, pour into a shake glass and prepare for the best shake ever!